Our eggs go beyond free range. Farmer Richard has designed and built a special, moveable hen house – designated the ‘egg mobile’ – for the hens to lay, roost and shelter in. It is pulled from pasture to pasture after the cows have munched the grass. The hens flap, flock and forage; they scratch and grub up the soil, enriching it as they go. Fresh pasture keeps the flock healthy and benefits the land. And best of all, the hens’ rich and varied diet makes for an exceptionally tasty egg. Available in the farm shop in half dozens, our pastured eggs are also used by our kitchen team to create our cakes, café dishes, and ready meals (which you’ll find in the farm shop freezer). The very best farm food producers were recognised at the National Trust’s annual Fine Farm Produce Awards, presented at BBC Countryfile Live 2018 at Blenheim Palace. One of the winners is from Cumbria. Low Sizergh Farm near Kendal have won a Produce Award for their free-range eggs. Their flock of 450 hens, which produce on average 337 eggs daily – sold in the farm shop and used in the cafe – live a ‘pastured’ life. Their home is a mobile hen hut, moved each day, by a small tractor. It means the hens can follow the cows around, making the most of the fresh manure left behind from the cows grazing in the fields. 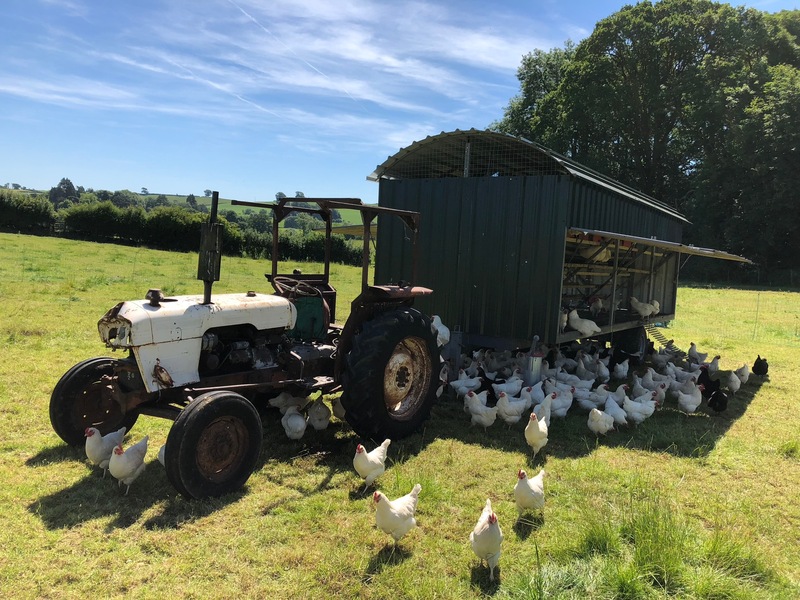 It’s good for the hens, their eggs and the soil and even the scraper tractor, brought out of retirement, to pull the egg mobile says Alison Park from Low Sizergh Farm. “This system is what makes our free range eggs different to other free range eggs. Our hens are on the go, moving pasture on a frequent basis, rather than being based from a stationary hut with access to the same field” explains Alison. Now in their thirteenth year, the awards celebrate the very best produce from the Trust’s 1,500 tenant farmers and estates, who between them look after more than 500,000 acres of farmland in England, Wales and Northern Ireland. As well as being judged for taste, products are assessed against a range of environmental standards to guarantee their quality and origin.